In McGillicuddy’s latest collection of poems, we find ourselves immersed in those final days of her husband’s life, and we witness a woman who is exuberant about life and courageous toward death. She displays these qualities enhanced by religious belief, and by the conviction that if she sings to him, he will surely will hear her. The book focuses on love and marriage and, alas, on widowhood. It is also a book about living with grief. For all of us there is this question: What is “a good death”? In this book, it is a love-filled life. Whoever has grieved for someone deeply loved will find a friend in these poems, and in their author. When Elaine McGillicuddy’s husband died, she began writing as a way to go on living. This third book reflects her journey through grief “and into love.” Love was important earlier, but these poems are more quietly grounded in faith. In effect they make one poem, with sorrow and pain still there, but widening now into the mysteries of death and abiding love. Her thought is serious and her words plain. Not a poem in this fine and welcome collection is wasted. 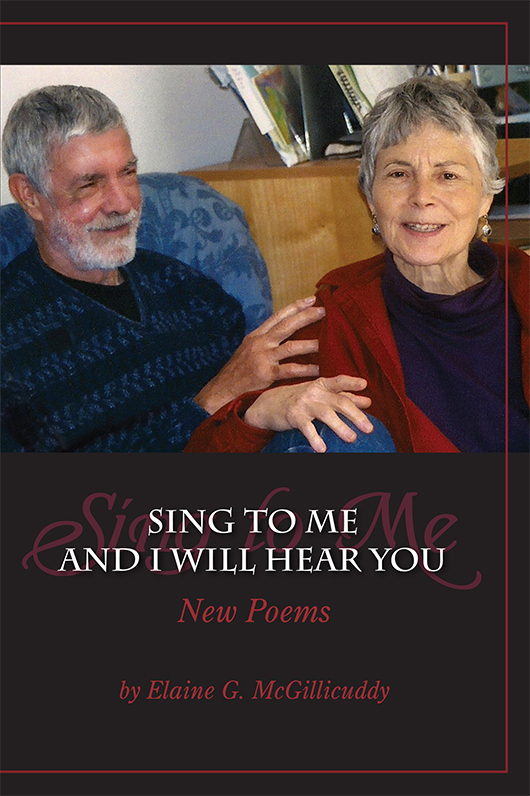 If the title of this fine volume of poetry has a familiar ring, perhaps that is because it is the third book in a trilogy written by Elaine McGillicuddy and bearing the same beautiful title: SING TO ME AND I WILL HEAR YOU. Her husband Francis had spoken those words to her during his final weeks of enduring bone cancer. The words she sang were “Set me as a seal on your heart. . .for love is stronger than death” (Song of Songs 8:6). Each of this new book’s four thematic sections offers an appealing selection of lyrical, elegiac and narrative works, all rooted in the garden of the poet’s grieving, but increasingly joyful, life as a widow. SING TO ME AND I WILL HEAR YOU – New Poems will provide companionship and comfort for those who are mourning the loss of an irreplaceable partner. It will prompt many tears, tease out a few chuckles, and erect uncounted road signs for those who are recovering from the kind of loss Elaine McGillicuddy knows well. Just a few random notes on your memoir and two collections of poetry. I enjoyed them thoroughly. Your passionate and spiritual pilgrimage a deux gave me much food for thought. The poetry and the memoir interlock and lend strength and resonance to each other. . . . Your poems are moving psalms of love distilled from your 41 years together. Or if you like, a personal Song of Songs. We should all be so lucky. 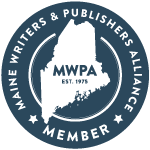 Your writings deserve a wide audience. They will help many people. After engaging your souls through the medium of words, it was invigorating to meet (hear and see) both of you in the flesh in the 2005 Susan Hirsch’s interview with you and Francis. Permit me to comment: I noted throughout the interview that Francis’s hands were up-folded on his lap in a quiet, prayerful fashion…that reflected his gentle, thoughtful spirit, – a wonderful counterpoint to your expansive, animated and eloquent presentation, which is not to say that you are not gentle and thoughtful too. I also observed that he watched and listened to you in a rapt fashion that conveyed the depth of his love. If these remarks are intrusive forgive me, – just the ramblings of grizzled old judge who has gotten used to scrutinizing people in the witness stand for 25 years and can’t shake the habit.